Gensource Potash Corporation is pleased to provide an update related to the ongoing efforts to expand upon the resource confirmation work completed to-date at its 100% owned Vanguard property in central Saskatchewan. 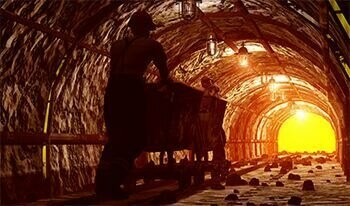 Verde AgriTech is pleased to announce that it has been awarded a mining permit for 20,000 tons per annum to startup its planned production. The Brazilian Ministry of Mines issued the permit today. Research and Markets has announced the addition of the "Global Potash Market: Industry Analysis & Outlook (2017-2021)" report to their offering. Gensource Potash Corporation is pleased to announce the strategy for the development of multiple potash production facilities, each of which is directed to a specific market. 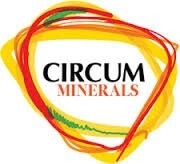 Circum Minerals Ltd. is pleased to announce they have been advised that their application for a mining license for the World Class, Danakil Potash Project located in the Danakil region of northeastern Ethiopia has been approved by the Council of Ministers of the Federal Democratic Republic of Ethiopia. Scientific Metals Corp. is pleased to announce it has entered into an arm's length standstill agreement which provides STM exclusive negotiating rights to purchase a 100% interest in two prospective lithium brine projects (the "Properties") in Northwest Argentina. Crystal Peak Minerals Inc. is pleased to announce completion of the fieldwork portion of its feasibility study currently underway on its premium specialty fertilizer project on the Sevier Playa in southwestern Utah, U.S.A.
Red Moon Potash Inc., announces that it has retained Apex Geoscience Ltd of Edmonton, Alberta to undertake the preparation of a National Instrument 43-101 compliant Mineral Resource Assessment report on the halite (rock salt) deposit located at the Company's Captain Cook project in western Newfoundland. The Chairman and Co-founder of Circum Minerals Ltd. ("Circum" or the "Company") Stephen Dattels, today announced that Circum has completed its Definitive Feasibility Study ("DFS") on its world-class potash project in the Danakil Basin in Ethiopia.